An interesting, engaging book about the homeless in Australia and the emotional awakening of a woman called Jane Patterson. After a run of bad luck Jane inherits a hotel, but finds that not all inheritances are what one expects. The gift in this inheritance is that Jane begins a rewarding journey, along the way learning to help others. Jane and her homeless are likeable characters one can sympathise with; the lines between good and bad are clearly drawn, and as Jane's eyes are opened to a new view, it's hard not to be pleased that Jane's journey is turning her into a more mature, compassionate person - it's this that makes SALVATION JANE a realistic and hard-hitting story, but with a hopeful edge. 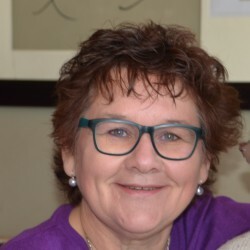 SALVATION JANE is a thought provoking book, with interesting character development and a strong message about political agendas that are for the politicians' benefit and not the benefit of the people they serve. Although set in Australia, I found the similarities to the plight of the homeless living in broken down apartment blocks here in Johannesburg eerily familiar. 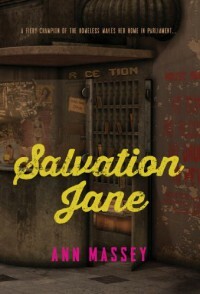 Thus, SALVATION JANE is a story that's uniquely Australian and yet it deals with a universal theme that most readers will be able to relate to.